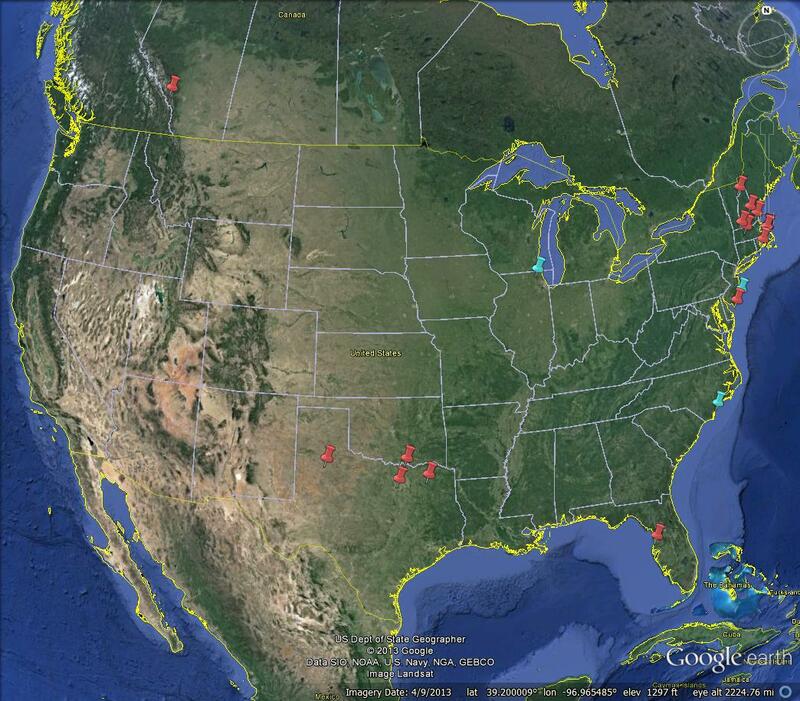 The red pins are static swarms, blue are migratory swarms. Click on the image to make it larger. Nearly all the activity was either in Texas or in New England last week. All but two of the reports has mentioned big storms or very heavy rains within a few days of the swarms. I think that’s interesting! Everything is still far behind schedule this year and swarming is just starting to pick up now. I suspect I’ll get the normal surge in swarm reports in 2-3 weeks, but we’ll have to wait and see if things really are just delayed a few weeks or this is an abnormal year overall. Have a great week, and look for another Swarm Sunday next weekend! It is very likely the rain WAS the signal! Several ant species in Arizona in the US form these massive mating swarms after the first monsoon rain in the summer and you’ll get these huge clouds of them all over the place. It’s an amazing thing to see! So glad you had a chance to see something similar.